Mitosis (AKA karyokinesis) is chromosome replication and NUCLEAR division, not cell division (cytokinesis). 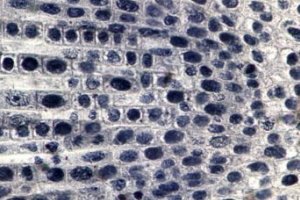 While mitosis and cell division usually occur at the same time, they are not the same process. Beautiful & helpful for the beginners to gain confidence in cell staining for studying mitosis. I am not fully agreed with Gary’s comment as though mitosis is different from cell division as one is internal preparation(mitosis) before the final conclusion(cell division), but if we say they are two different process will create unnecessary confusion among the students..The cell cycle stages they will learn themselves.